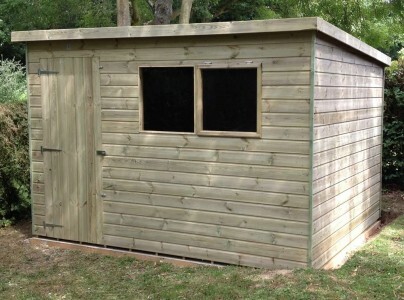 Our range of premium pressure treated sheds offer some of the finest, household custom made sheds with 100% pressure treated timber offering sublime protection all year round. 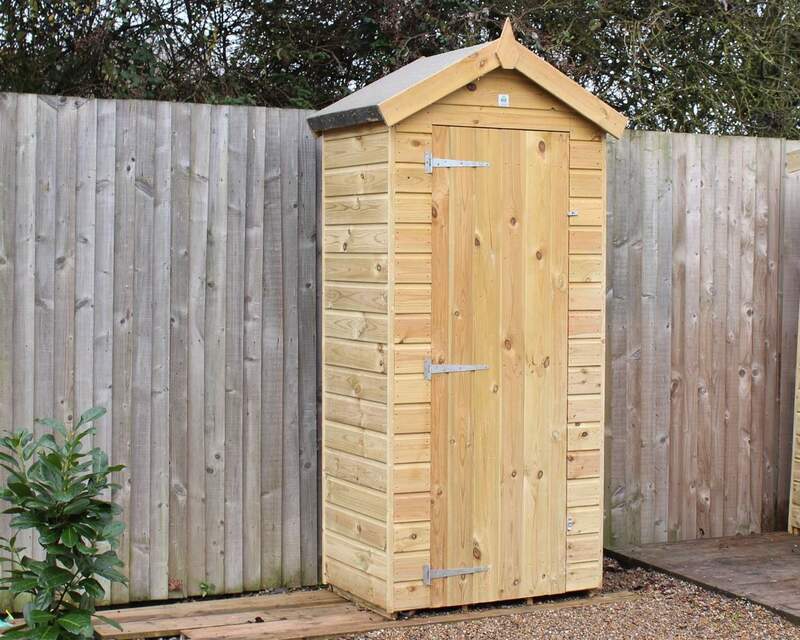 No matter what the season, your treated garden shed from Ace Sheds will withstand the elements and retain its youth for years to come. 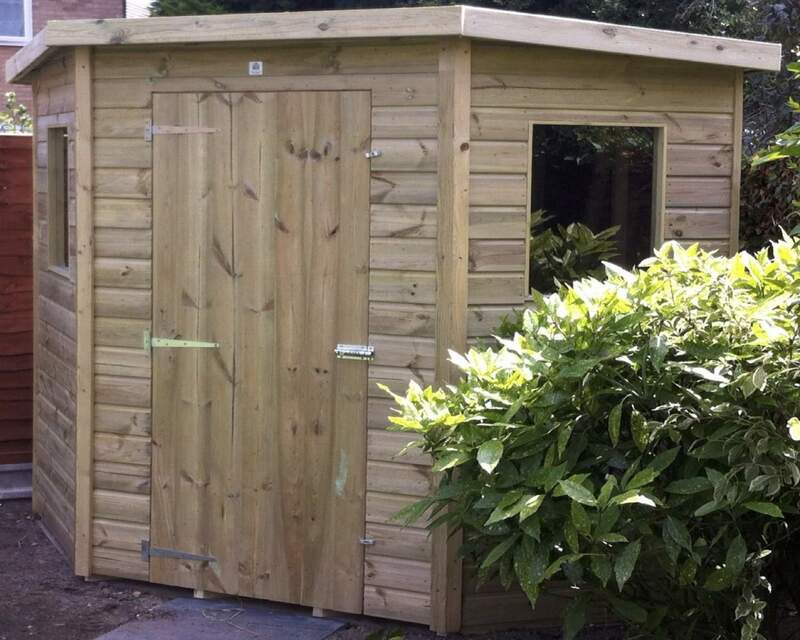 From corner sheds to security sheds, our tanalised timber buildings offer a style and design that will fit perfectly in your garden. 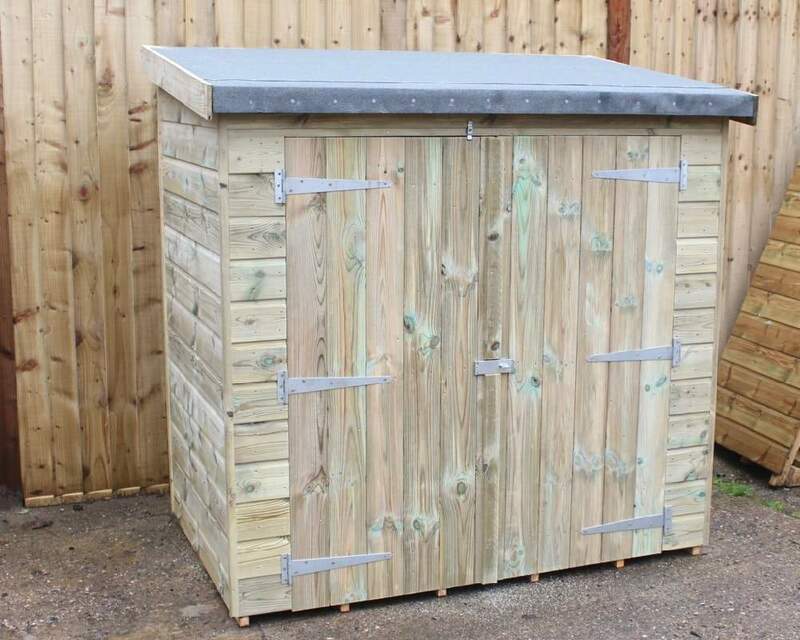 Get prepared for the arrival of your new pressure treated shed by building your own shed base! 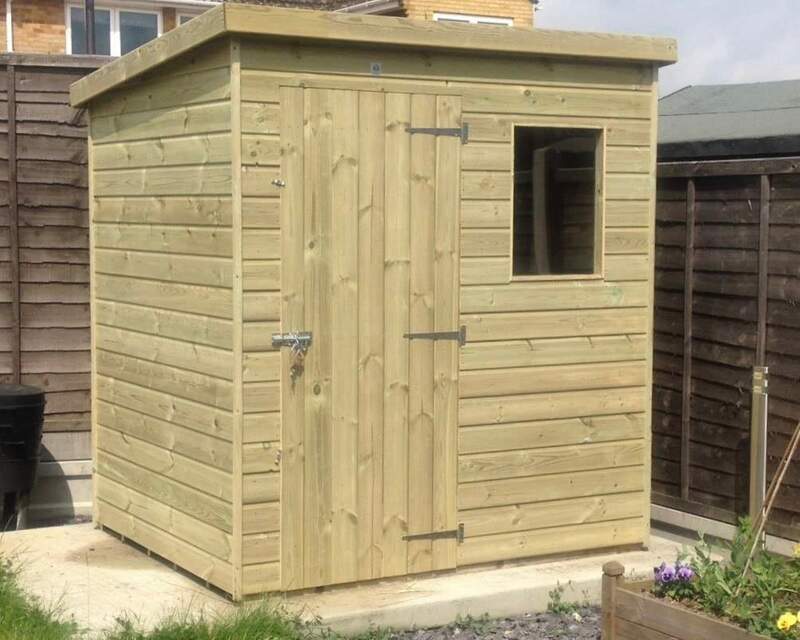 Ace Sheds understand that an outdoor garden building has a multitude of uses, from a storage solution for garden equipment to a garden office or children’s adventure house - garden sheds can be used for almost any purpose! 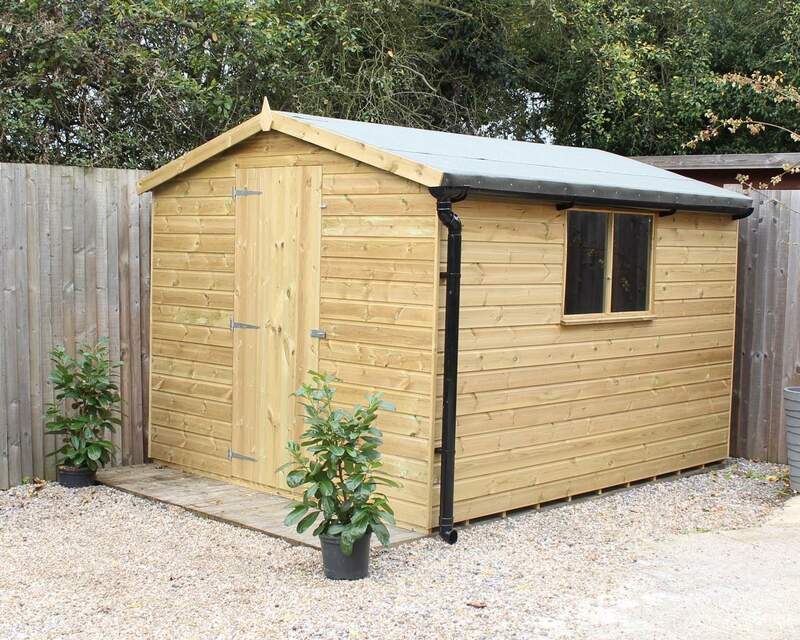 That’s why we go the extra mile to ensure your garden buildings have the necessary and sufficient protective treatment, not only to ensure that your shed looks great throughout the years, but also to ensure your belongings remain protected at all times. 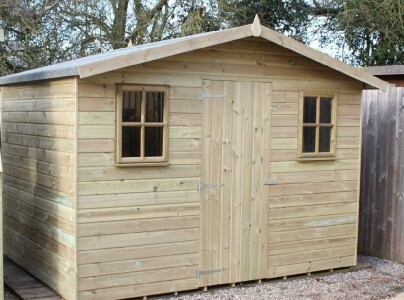 What’s more, with a pre-treated shed you won’t need to apply a preservative coating each year; you can rest assured your timber building will remain protected come rain or shine. 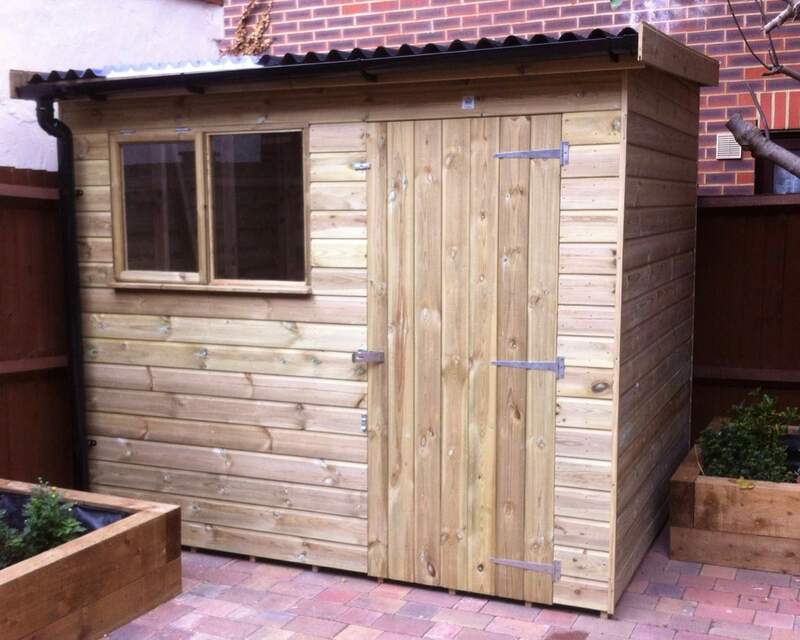 All of our garden sheds have been treated with our standard treatment, which uses a quality wood preservative. 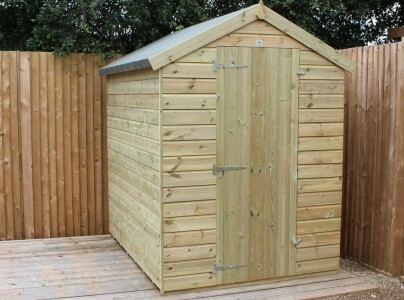 You’ll be pleased to know that your shed requires little to no maintenance at all and will continue to look great for many years to come. Our premium pressure treatment solution, on the other hand, offers that extra bit of protection. 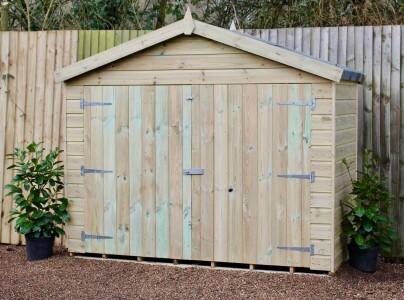 We use wood treatment and additives as they are renowned for their durability, as well as colour and quality. 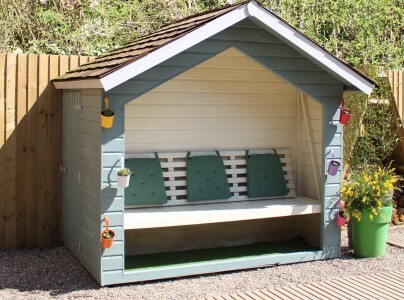 This kind of treatment alters the colour of your garden room to an attractive, honey-brown colour which blends subtly with your garden surroundings over time. 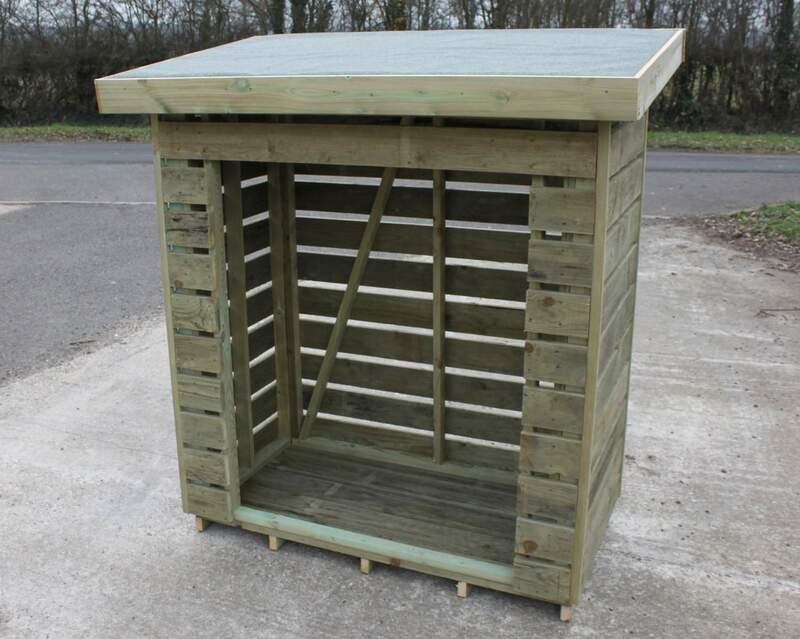 So what exactly is pressure-treated timber? 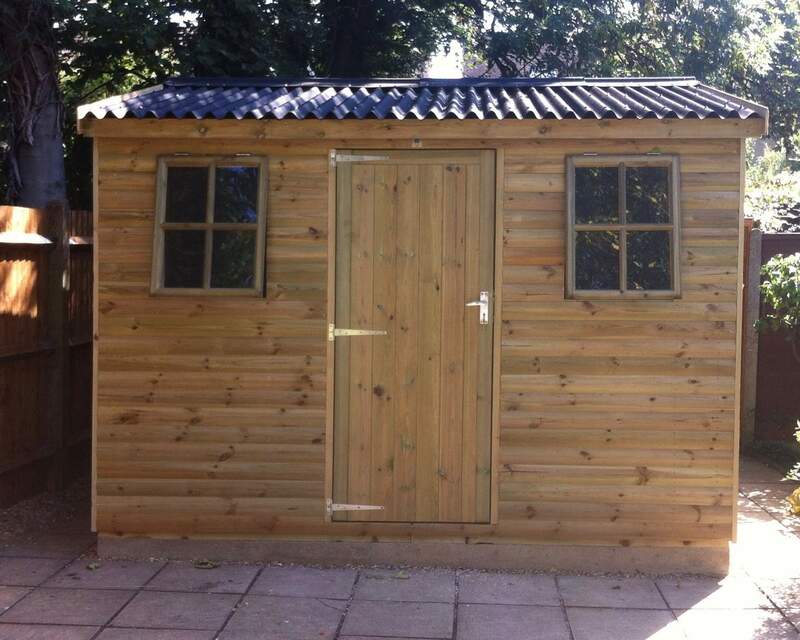 When we refer to pre-treated timber, we mean timber that has had preservatives forced into the timber to enhance the protection and longevity of your garden room. Timber can deteriorate for a number of reasons, from overexposure to water, to fungal decay. 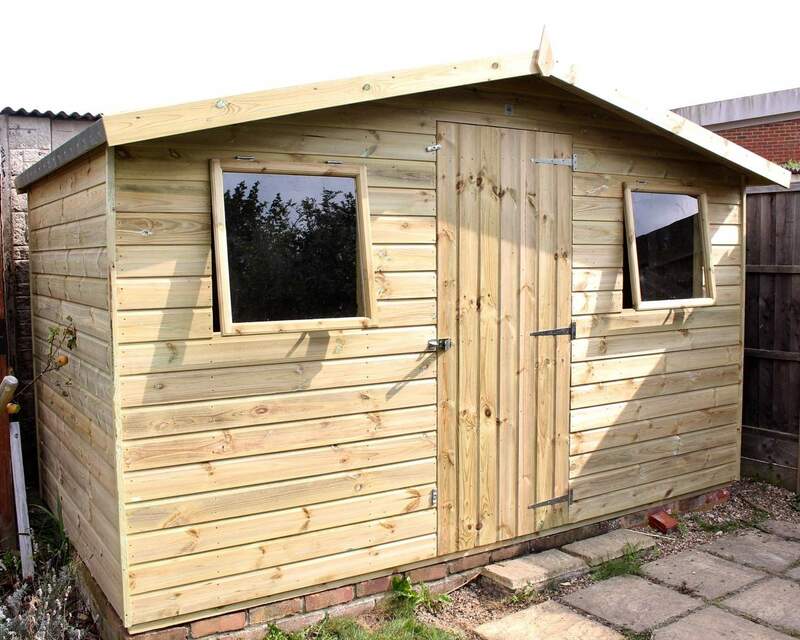 All of our products benefit from our standard pressure treatment, meaning you won’t have the worry of having to treat your shed after purchase. 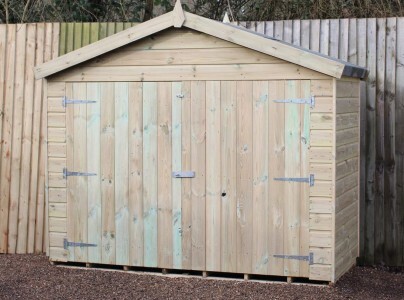 What’s more, all of our tanalised timber sheds come with periodic ironmongery and high-quality green mineral felt, made from top-grade Swedish timber. For more information about our pressure treatment process, please visit our pressure treatment page. 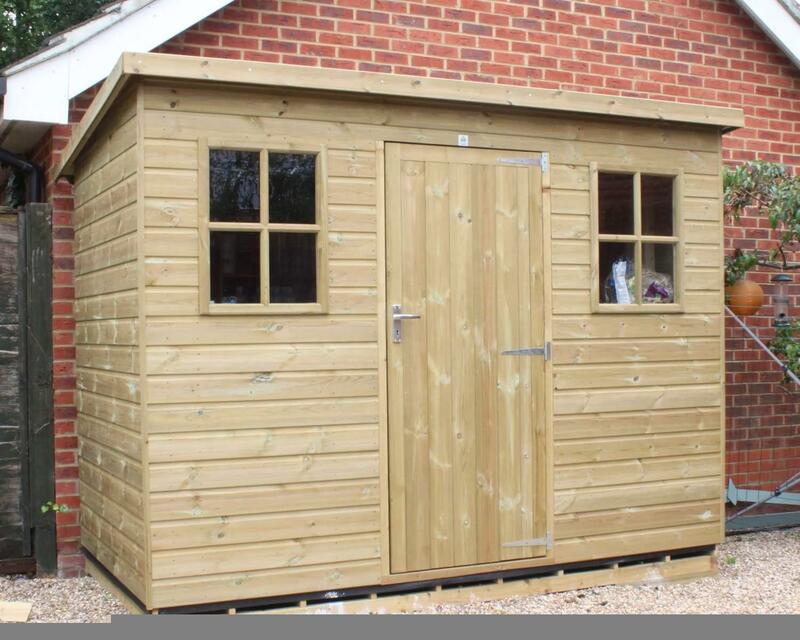 All of our garden buildings are manufactured using premium-quality timber and built by our experienced team of craftsmen on-site at our show-site in Bethersden, near Ashford. 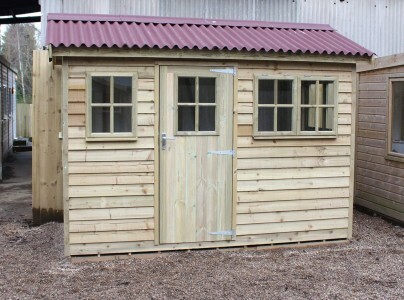 We have 30 years of experience manufacturing and supplying garden sheds and don’t intend to stop there! 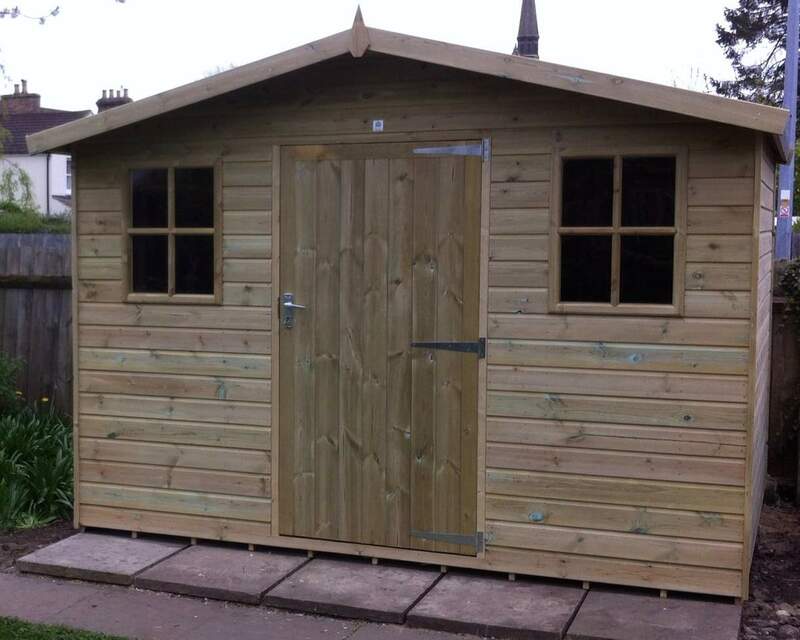 We take pride in our sheds and are proud to be your local shed supplier! 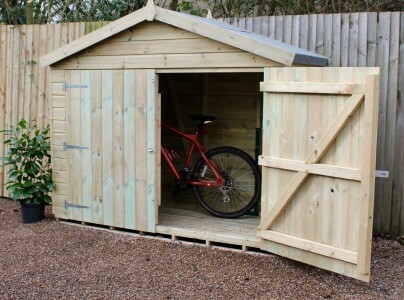 We’re committed to offering premium-quality sheds, which offer style, functionality and sustainability – we want your shed to be for a lifetime, not just a summer! 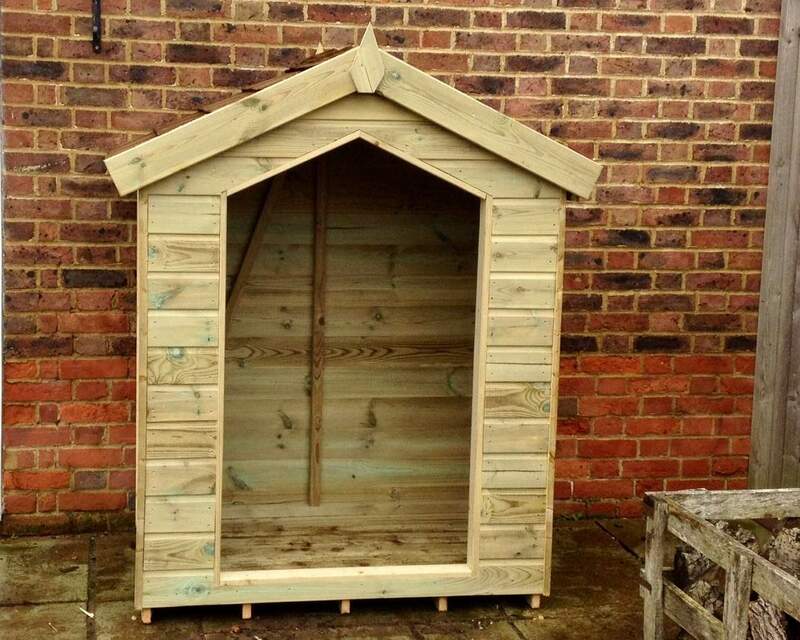 We deliver and install premium, pressure-treated garden sheds to a number of locations in the south of England including Maidstone, Ashford, Tunbridge Wells, Kent, Essex, London, Middlesex, Surrey and Sussex, to name a few! You can find out if we deliver to you by visiting our Delivery page. Contact us today online or call us 01233 822042.